How does Helix sequence my sample? DNA is extracted and then sequenced in an Illumina HiSeq machine. 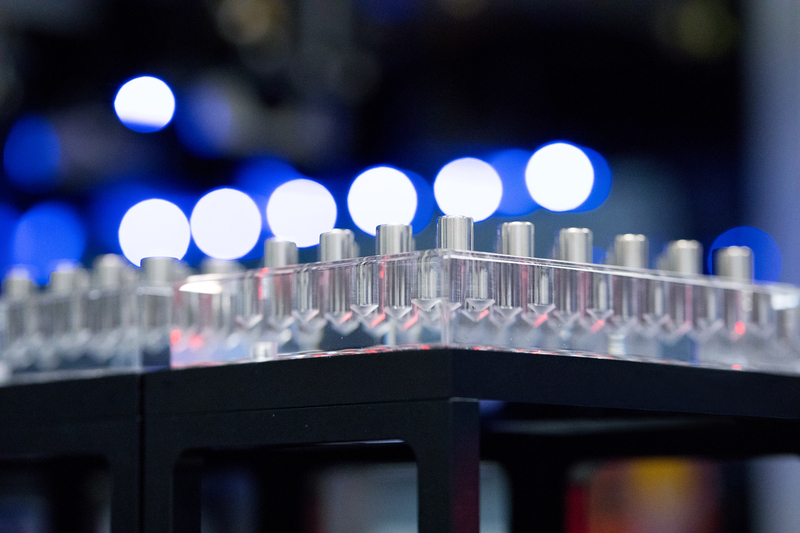 Insitome partners with Helix for DNA processing. Helix's lab is in San Diego, California. With a simple saliva sample, you can collect your own DNA and submit it to Helix's laboratory where they will prepare and sequence your DNA sample. 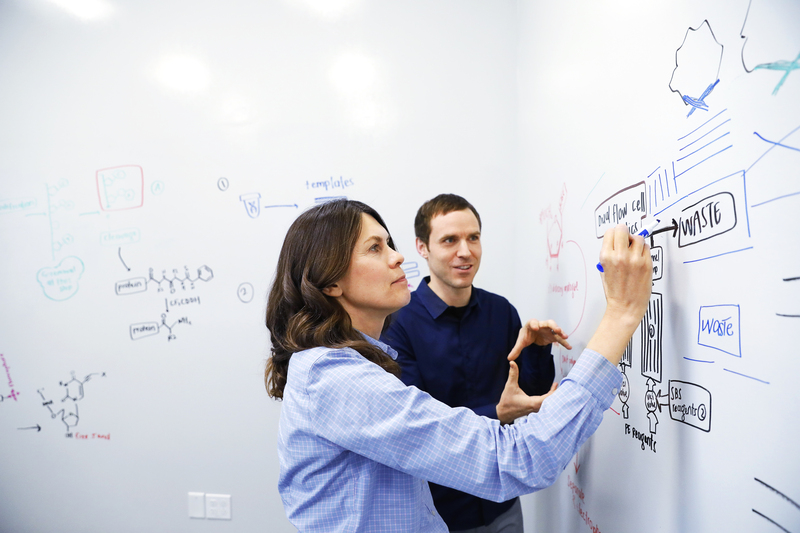 Helix's sequencing process scans more than 250,000 markers across your entire genome. Included among these markers is a set that will reveal if you are carrying DNA that came from our hominin cousins, the Neanderthals – isn't that exciting!? 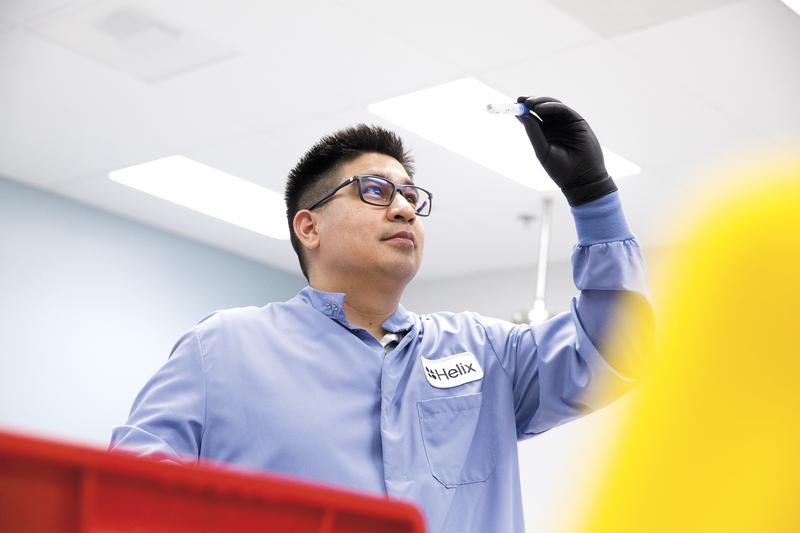 Once the Helix lab receives your delivery, the sample is examined for integrity. The sample is then passed along to technicians, who prepare it for processing. A simple saliva sample produces over 250,000 DNA markers. 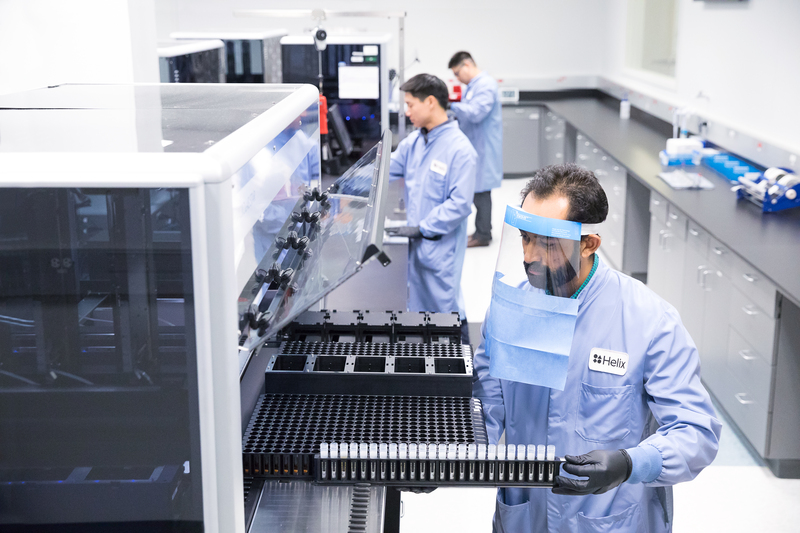 Each transfer between phases of the sequencing process occurs in clean, secure conditions. 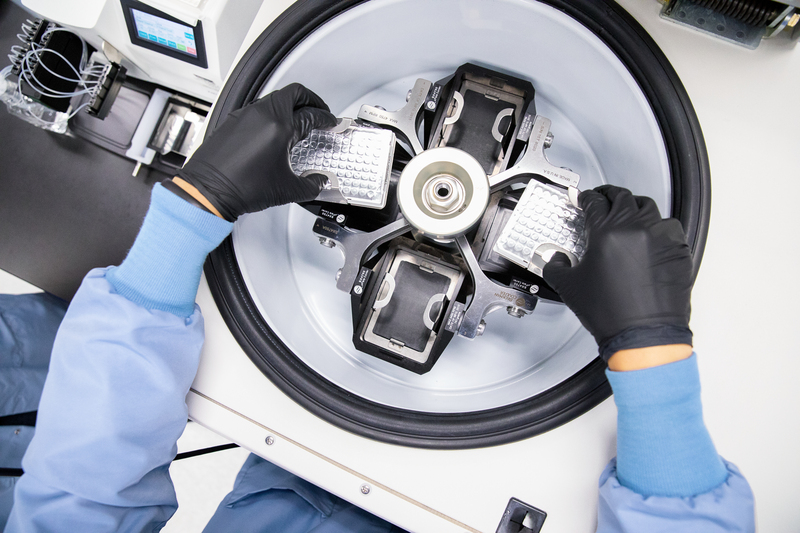 A centrifuge (above) is used to separate the different components of the sample based on density. 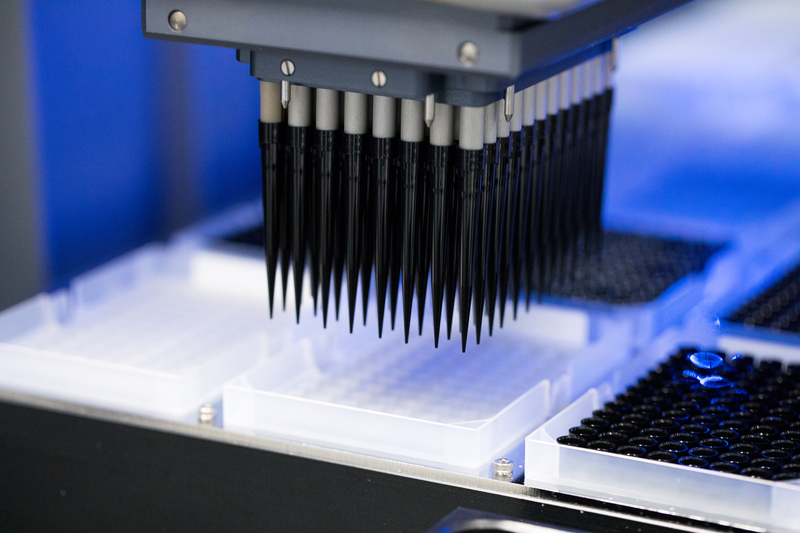 Samples are then loaded into an automated robot for DNA analysis. 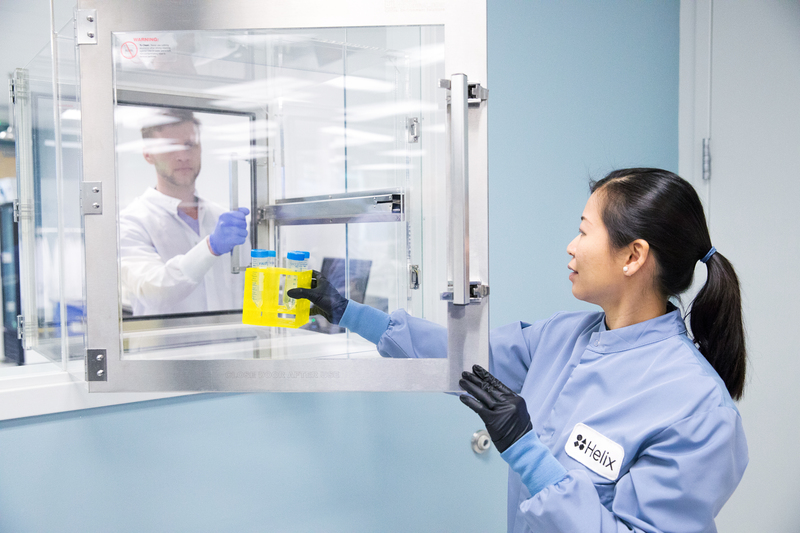 Your sample is analyzed at Helix's state-of-the-art, CLIA-certified lab facility. 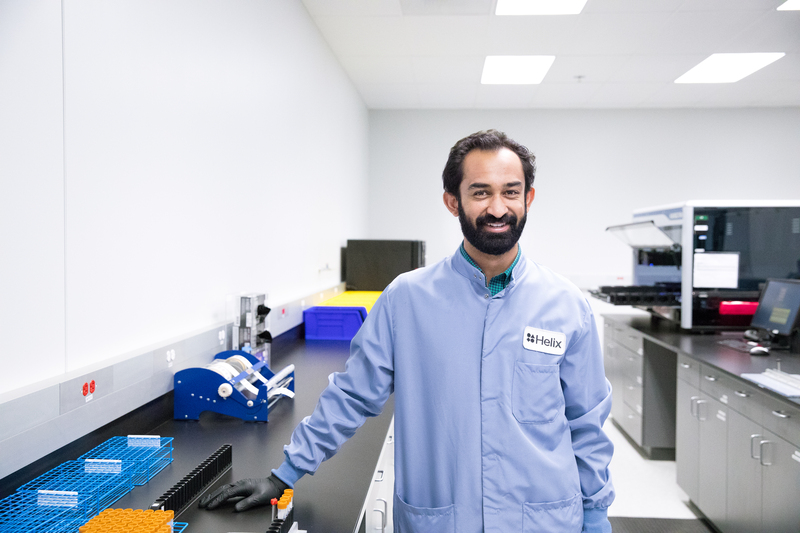 At the lab, Helix extracts your DNA and runs it on an Illumina sequencing machine. This produces a detailed view of your genome, which is run through a proprietary bioinformatics pipeline for analysis—created by top DNA scientists in the industry. DNA is extracted from cells contained in your saliva. The lab copies the DNA many times—a process called amplification—duplicating the tiny amount extracted from your saliva until there is enough to be sequenced. 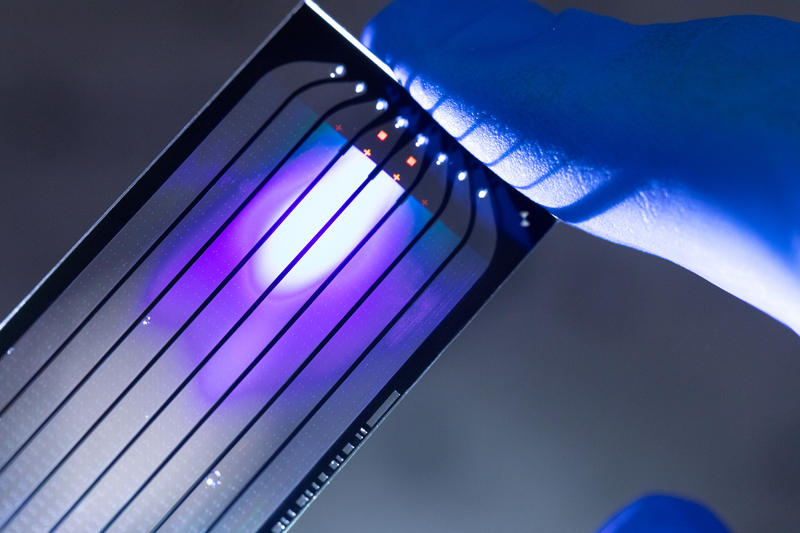 Above you see a flow cell, produced using semiconductor manufacturing technology. Starting with a glass substrate, patterned nanowells are etched into the surface for optimal cluster spacing. Each nanowell contains DNA probes used to capture prepared DNA strands for amplification during cluster generation. The sample goes through various levels of quality control. Both Insitome and Helix are continuously peer-reviewed and audited by an independent body of experts comprised of leaders in their respective fields. Insitome and Helix continually to work with these third parties to ensure that the science is always world-class. To continue learning, explore the links below.